Soft and strong, these 100% natural hair brushes are the workhorses of our Scholastic Collection. They’re inexpensive, yet effective for watercolor and touch-up work. The oval wash produces a soft edge with no point, ideal for laying large areas of color, wetting, or absorbing. 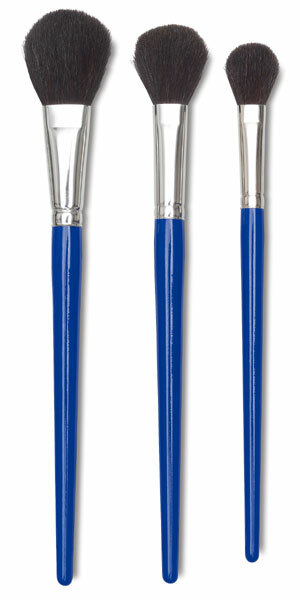 The brush hair is set in seamless nickel-plated ferrules, attached to natural wood handles with a blue gloss finish. Oval Wash — The oval wash produces a soft edge with no point, ideal for laying large areas of color, wetting, or absorbing.